Your home's IQ took a big leap forward this year — at least the option was open. The ability to order our appliances around, even by talking to them, became a reality in 2017. So too making lights, locks and even our refrigerator work the way we want, adding personal touches like floor lighting that turns on when our feet touch the floor, or locks that tell us when our kids arrived home from school. We spend a lot of time at home — and about 1.8 hours a day maintaining that space. We want our living areas to be comfortable — and we want them to work for us. (Slicing down those 110 minutes we spend cleaning and straightening up would be a plus too.) How far did we get? We think 2017 made some great strides in getting us to the smart home of our dreams. Our voice turned into the smart remote of the year. Speakers from Amazon, Google and Samsung (sorry Apple) created a link from us to many products including our front door lock, our kitchen lights — even playing our wake up music in the morning. Yes, we had some issue of spying (ahem, Google) but the smart speaker definitely has its sticky feet in our homes, even if people remain concerned about hacking. 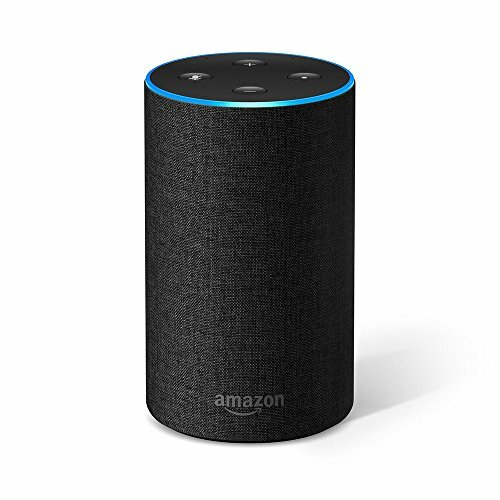 Amazon in particular pushed aggressively in to the home with its Alexa-enabled speakers making new versions of its popular Echo, mini version and even devices we're not sure anyone we know actually owns. (The Dash Wand? Hello?) Google Home wasn't about to be left behind, launching its own suite of design-friendly speakers. Apple, however, has stumbled, pushing back the release date of its HomePod. Thought you had your lighting covered with the on and off switch? Wrong. Everyone wants us to light up our home — their way. Today, you can control your lighting from your smartphone, which, we admit, is a little awkward. But light fixtures and bulbs now work with sensors. That means, a midnight stroll out of bed for some water can turn on soft lights to light your way — just by planting your feet on the floor. 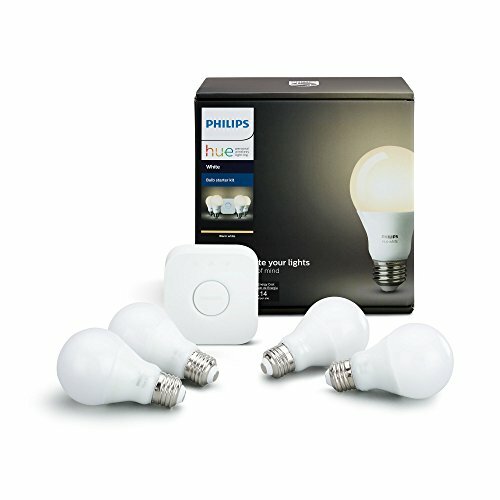 You can also make your smart lights turn colors, shift to different hues and intensities depending on your mood. Even Ikea got into the act — which means the giant retailer thinks smart lights are going to be as big as meatballs. It's not surprising then Wi-Fi routers then have grown increasingly important this year — along with devices popped up to strengthen the signal in your home. We reviewed a number of them from Amplifi to Portal, Plume to Velop to see which provided the best highway for the signal in your home. You're not coming home to a chateaubriand courtesy of your stove. (Chicken stew in the crockpot? Certainly.) But the intelligence level of your appliances did rise significantly in 2017 — giving you a window into what's in the refrigerator and even a chance to find out of you truly need that second half-gallon of milk. How about a stove that suggests recipes? A vacuum that sweeps up the dog hair on its own? Or a decanter that pours a shot of whiskey when you walk in the door? Yes, please. Think of smart locks like the training wheels to smart homes. Yes, we've run into some (significant) problems as we've tested these devices at GearBrain. But in most cases, they're fairly simple to install — you can do them yourself — and they work. Like wi-fi devices, we've tried quite a number of them this year from Yale to Kevo. And you can even operate some of them using an Alexa Skill. We definitely looked to lock down our homes tighter this year. If a home security system is not your thing, a smart doorbell just might be the answer. And there were quite a lot to choose from this year — some that even banded together to keep a tight eye on a community like a virtual neighborhood watch. Smart video doorbells are not always the simplest of the smart home gadget: you can't really install them on your own, in every case. Some have to be hard wired into a house, for example. But these are still devices that are growing in appeal. The biggest push this year — getting all our products to try and talk to each other. This is the big idea behind Alexa, Siri, Cortana and Google Assistant — a way to talk to every one of our so-called smart devices no matter what digital language they speak. That hasn't really worked. Yet. So if 2017 wasn't the year everything finally learned the same language — we were impressed at the effort companies made to get closer. For the smart home of the future to really come into being — we're all going to have to learn— from locks to lights — to get along.